Morning light shines through the window at the Bayview Hotel as we wake up to the beautiful view of the calm sea. If this is the harbinger of views to come in Acadia National Park, we are in for a treat. The feel is quintessential New England. The architecture, the sea shore, the trees all speak Bostonian (Bar Harbor is pronounced Baa Haba). The ranger at the visitor center advised us to get to Cadillac Mountain as early as possible, even though we were past the peak season. As we climbed the switchbacks towards Cadillac Mountain, the scenery got more dramatic as we looked down on Mount Desert Island and the Atlantic ocean. Cadillac Mountain is the highest (natural) peak along the Atlantic coast at 1530 feet. It is tall in relation to the surrounding area and proximity to the ocean, but it’s actually shorter than the Freedom Tower in New York City (1776 feet). As we emerged from the tree lined drive, we saw…. a parking lot. The lot was mostly full when we got there around 10 am on this mid-September weekday. I can only imagine the crowd during the summer peak season. We headed towards the “trails” with full anticipation to see the view that made this location famous. We were really just walking along some rocks as the trail led us to the ocean. Then the ocean and Frenchman’s Bay came into view. Spectacular! I sat on the rock and absorbed the beautiful blue ocean and the Egg Rock Island lighthouse that formed the perfect New England image. I could have stayed there for a long time just to enjoy the view. We continued on the short Cadillac Summit Loop, a fairly flat walk on the summit rocks with delicious eye candy every step of the way. Onto the other parts of the park. We decided to take the Park Loop Road, a mostly one way road that formed a loop around the eastern half of the park. Park Loop Road parallels the east coast of the island, but the best way to see it is on foot, so it’s time for a hike. We picked Ocean Path trail because it offered the best scenic value for the effort exerted. The ocean view seemed to get better with each turn. There were cliffs, rocks, a sandy beach, and even a blow hole for diversity of scenery as we hiked the 4.4 mile path that hugged the coast. Fishing and tour boats dotted the bay with the lighthouse in the distance. The hike took us to Otter Point, atop the cliff facing south. It was a very satisfying hike although crowded. The shore reminded me of the California coast by Big Sur. While the Maine coast was not as dramatic as the California coast, it had a lot more charm. I thought it’s more “human scaled” and green, which made it more inviting. Let’s throw in a little history while here. We stopped at Sieur de Monts with a nice garden, history about Acadia, and trails in the woods. We explored Jesup Trail, which led to a big meadow that connected to the town of Bar Harbor. It was a very pleasant walk in the woods. As we finished Ocean Path trail, hunger became top of mind. The search for food led us to Jordan Pond. We managed to get a sandwich for a very late lunch, and enjoyed it by the shore. The scenery was classic mountain lake. The Bubbles mountain formed the northern boundary and the shallow shores holding the southern boundary were where the concessions stood. The water was crystal clear, asking me to dip my feet into her cold, clear water. The water was indeed cold as I stepped into the water with my bare feet. The 3.2 mile hiking loop around the lake looked enticing, but it was too late in the day to complete the full hike. Instead, we walked up the eastern shore for half a mile, and took in the beautiful, tranquil lake view. As the sun sets, we made the short drive to Bar Harbor. This was a delightful town that just screamed New England. The water front was gorgeous, especially at dusk. The sailboats dot the harbor, tethered to their mooring, ready for her next adventure. The town had many art stores and unique shops from woodworking to metal art. Street musicians played by the park with a very lively restaurant and bar scene. We unwound with some ice cream as we strolled through the streets. I’ve always wondered what the big deal was with lobster. I was not impressed with the many lobsters I’ve had outside Maine. They tasted like a glorified version of shrimp, but after tasting lobster in Maine, I completely changed my mind! Maine lobsters are a different breed! Local food is an essential part of the travel experience. When in Maine, one must eat lobster. 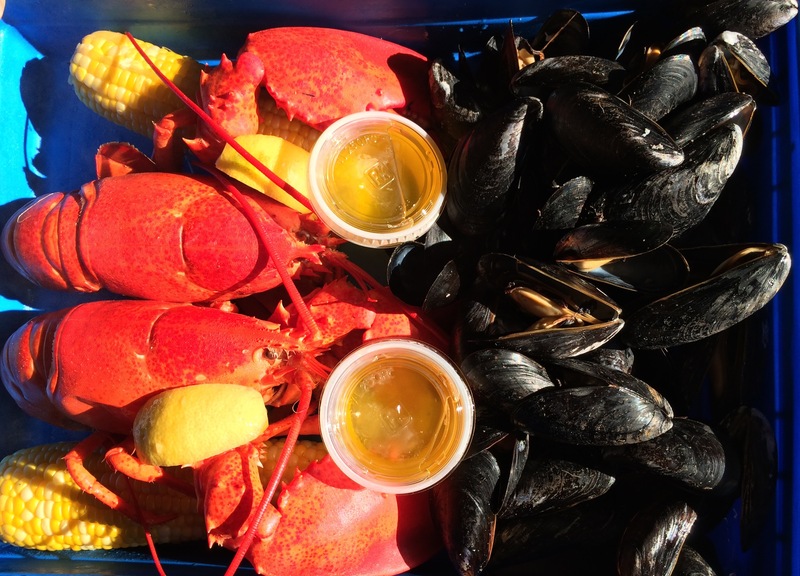 Our two succulent lobster meals at Bar Harbor were both excellent, but different. The Side Street Cafe in downtown Bar Harbor is a casual restaurant. The lobster with clams, corn, and blueberry pie was delicious. The lobster is sweet, tender, juicy, and full of flavor. It did not need any butter! Then it got better with C-Ray lobster the next night. C-Ray had outdoor only picnic tables and an outhouse for a bathroom but the food….! The preparation was dead simple but the result was one of the most delightful meals ever. After you pick the size of your lobster, they take it right out of the tank, bring it outdoors to the large pot with boiling sea water, leaves it in there for exactly 8 minutes, and out comes bright red lobsters that is flavored and cooked just right, with a hint of sweetness and the exact right texture. Compliment it with steamed mussels and corn, you have a meal that is out of this world. Their secret was getting fresh sea water from the ocean each day. Lobster for two was just a bit more than $30, less than half of Side Street Cafe. We gave up indoor seating, table service, and the blueberry pie, but what a deal! Guy Fieri should do a Diners, Drive-Ins and Dives show here. Don’t go after dark (there were no lights) and don’t go in the off season (they close by October), but for excellent lobster, this is the place. Besides hiking and auto (or shuttle) touring, there is biking, especially along the carriage road which has no cars. Horseback riding is available, as well as kayaking and general boating around the shores of the park. Rock climbing is available at Otter Cliff. There are two beaches in the park, though the water temperature may dissuade one from getting in the water too long. The fall colors are spectacular. Winter activities include snowshoeing, cross country skiing, and ice fishing. Strive to have the whole be greater than the sum of the parts. Achieve that by a balanced life. 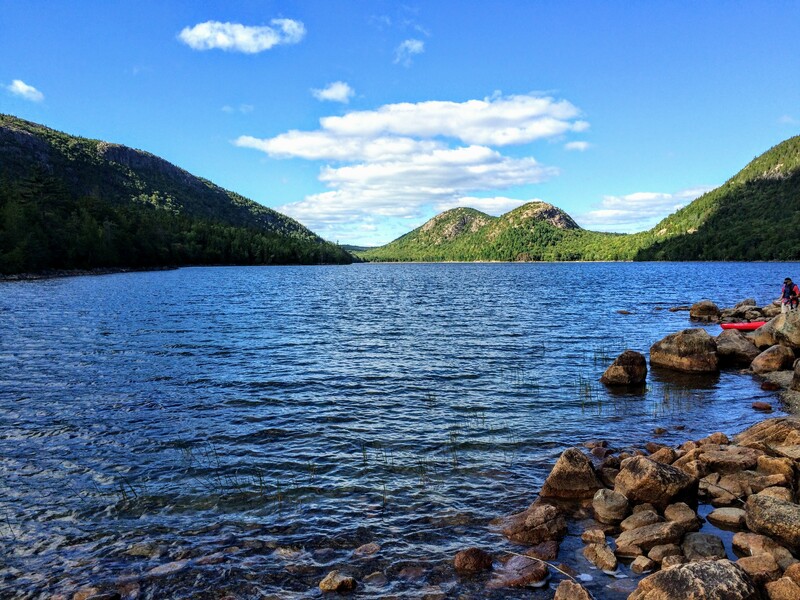 Acadia doesn’t have any particular feature that is awe inspiring, yet it feels just right. 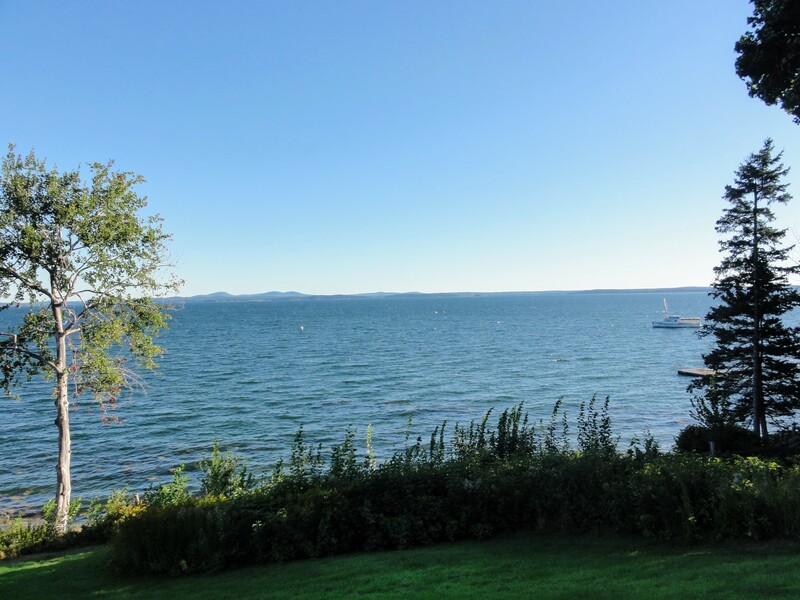 The coast is very pretty, Jordan Pond is a beautiful lake, and Cadillac Mountain has grand shore views all around. Each, by itself, is a nice place but not that unique. Together, along with the New England charm of Bar Harbor, creates an excellent, well balanced park that is a joy to visit. 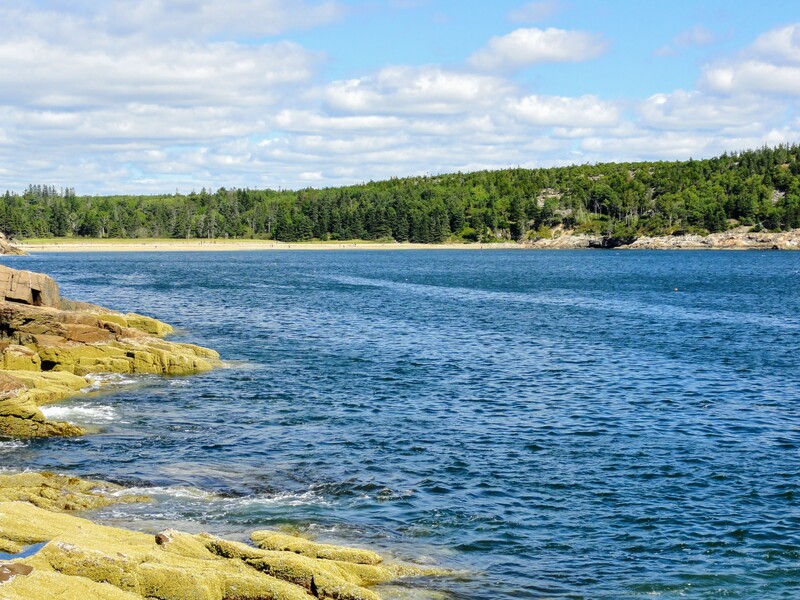 Have you visited Acadia National Park? Leave a comment below on your experience. Check for road closures and other current info on the NPS website. Park Loop Road is mostly closed in the winter months. July and August are the peak months. If you go at that time, take advantage of the shuttle system. Shuttle stops in downtown Bar Harbor. If you use the shuttle, consider one way hikes such as the Ocean Path trail. Some trails start at the town of Bar Harbor. You can hike your way into the park easily. There are various guided bus, carriage, and boat tours available May to October. 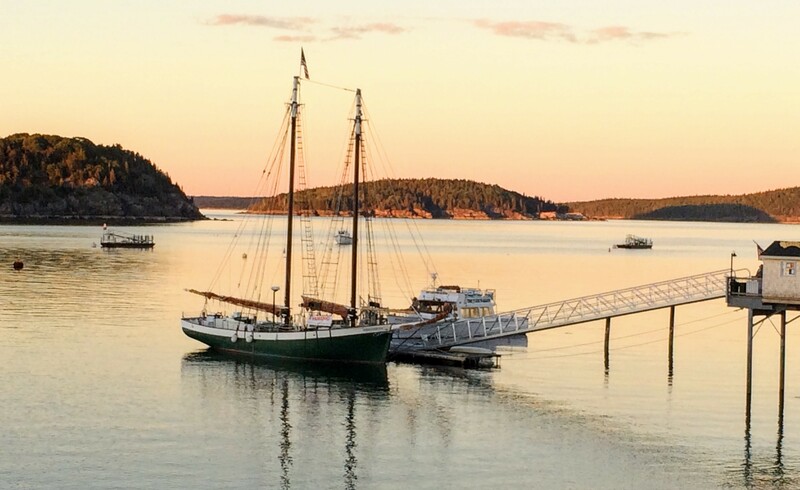 The town of Bar Harbor is quint with plenty of restaurants and hotels. We stayed at the Bayview and I highly recommend it. 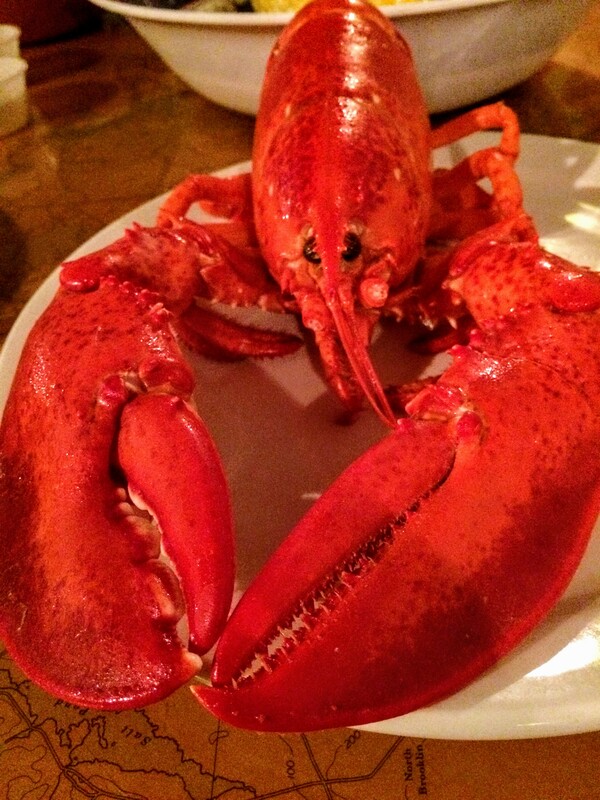 I highly recommend C-Ray Lobster, just outside of town, for great food and even better value for lobsters. Visitors: 3,509,272 in 2017, ranked 8th. Record attendance was 1989 with 5,440,952 visitors. Peak Month in 2017: August with 762,436 visitors. Low Month in 2017: December with 12,084 visitors. Entrance fee: $25 per vehicle or $12 per person with no car.